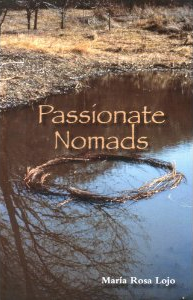 Passionate Nomads is a most extraordinary addition to the literature of the New World. To bring Merlin the Magician and a daughter of Morgan Le Fay over to 20th-century Argentina might be merely whimsical, but then to revive the Indians of the pampas along with a 19th-century general who both wrote about them and helped massacre them takes fictional daring of a high order. As the reality of South America proved too much for realistic fiction to handle, Borges and García Márquez invented magic realism; and now, in a yet more radical invention, such writers as Liliana Bodoc and María Rosa Lojo evoke a profound fantasy of the real – not a rewriting of history, but an imaginative recall and understanding of what has been forgotten, cannot be remembered, and yet must be remembered. What kind of adventure would Merlin have if he was still among us? Would he live alone or in company of a rebel niece, noble heir to Fata Morgana who one fine day decides to emigrate to Argentine literature?…A fantastical medieval fiction that breaks into Latin American reality with humor and imagination. Lojo’s fiction places her as a first-rate writer. Passionate Nomads sings with the eloquence of ancient mythology, from Merlin’s wisdom to the lost traditions of the Ranquel Indian culture of the pampas. Brett Alan Sanders’ translation vividly captures the spiritual depth of the trio of main characters whose convergence in time and space marks the initiation of a journey to the heart of Argentina. This novel is further evidence of María Rosa Lojo’s command of the historical fiction genre and her ability to weave a captivating story. A coherent and profound meditation on existence. A beautiful metaphor of nostalgia, of a glorified past full of hope, sadly disappeared. Merlin awaits me at the Anchorena lodging. I returned to the lodging in Anchorena around dawn. Beneath the unnecessary shade of a grape vine in the corridor, Merlin awaited me. He puffed slowly on his pipe filled with herbs, and at a certain height the spirals of aromatic smoke fashioned amusing images of medieval ladies and warriors. Merlin’s attitude was the second great surprise of the night. I wondered if he was just in an uncommon mood for confidences, or if he was planning to yank them out of me. “Since you say so, then I guess you already know,” I half smiled, a bit irritated by so much magical competence. He cleared his throat, exhaling forcefully a final mouthful of smoke that soon drew the exotic silhouette of a dragon. Merlin extinguished his pipe and began to stand up with his customary calm. Merlin put a friendly arm around my shoulder. Welcome to the new face of my site! I’ve decided to have my son Jonathan redesign my existing website within the frameworks of the blogging platform. I’m new to all this “blogging” so I hope you’ll all bear with me. With apologies for the long period without an update to this site, here at last it is. I will endeavor to keep it current in the coming months and years. The big news this year is the publication of my translation of Argentine writer María Rosa Lojo’s novel La pasión de los nómades (Passionate Nomads, 2011, Aliform Publications). Originally publication had been planned for 2010 by a British publisher that regrettably has bit the dust in the recent and ongoing financial crisis, which has hit the literary-publishing world particularly hard. So we were extremely fortunate, at the last moment (in order to keep the generous translation grant I had received from the Argentine government), to place it with Aliform, a publisher from Minneapolis with an impeccable list of Latin American literature in translation. An excerpt from the translation is forthcoming with the magazine Rosebud, its next issue scheduled to appear sometime in November. Events are also being planned, most significantly at the moment through the sponsorship of the Argentine Consulate in Chicago during roughly the middle of November. Keep posted for further details. Otherwise this summer I have had a satirical piece of short-short fiction placed in the online journal Potomac: A Journal of Poetics and Politics. With the rather longish title “Three Views of a Single Crime; or, Like Water from Chocolate,” it takes on the new immigration law in Arizona and some of our unwarranted fear of other languages than English. It contains some colorful language, among other things, and is thus not intended for the youngest of readers. Also in the past year, my essay “On the Creative Art of Literary Translation” appeared in the Fall 2010 issue of the print journal Confluence: The Journal of Graduate Liberal Studies (now with an online presence where, if it has not already, another excerpt from Lojo’s novel is also set to appear). The essay “A New Existentialist Dialogue of Rhetoric” appeared a few months earlier, in June 2010, online in Tertulia Magazine.